On March 8, at roughly 30 minutes after midnight, Midnite took the stage at three20south in Breckenridge, after an unsettling delay due to snow. Roots Reggae DJ Jah Stone warmed up the crowd, followed by regional reggae artist Jus Goodie.The band Midnite consists of two brothers – Vaughn Benjamin (words and vocals) and Ron Benjamin (bass and vocals) – and their handpicked roots lineup of musicians, Sly Molina-Curet (drums), Edmund Fieulleteau (guitar), Edwin Byron (guitar) and on Ras L. (keyboards). Midnite as a band – and Vaughn Benjamin as the modern roots messenger – are both at the top of their game, with Vaughn having over 40 CDs to the Midnite name. For Midnite, it is about the true unadulterated roots musical message. 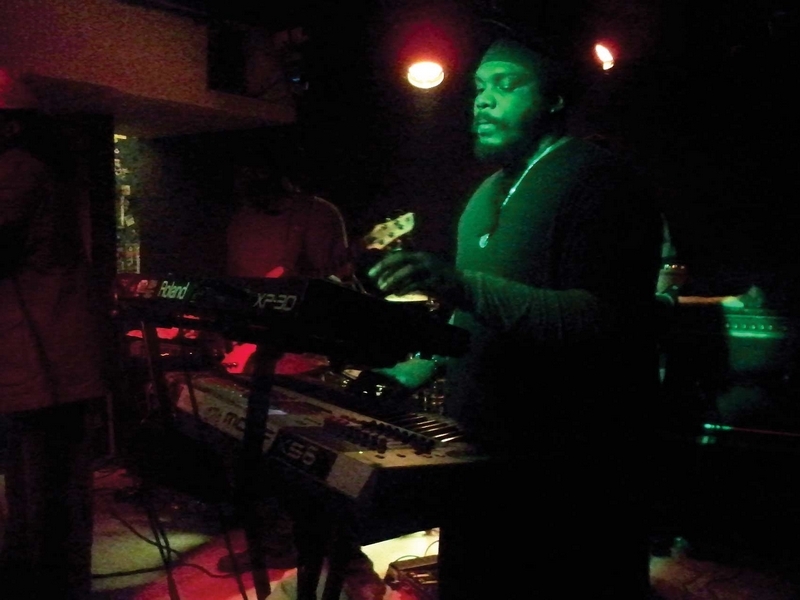 Midnite is raw, yet refined to the simple elements that power reggae roots: words and sound. Vaughn is the lyricist and the vocalist, and Ron is the arranger of the music, laying down heart-rattling bass lines that together deliver a mesmerizing roots message.The first song Midnite began with, “We Don’t Want No Problems,” is an original not recorded but very cool on that night. The second song vibed for 15 minutes or longer with Midnite churning out a rhythm that seemed unstoppable and put the crowd on edge. Hours later, Midnite launched into “Love the Life You Live” with precision and purpose. The few that stood until the end of the show at 3 a.m., when Midnite completed it’s three-hour roots journey, did not miss “one drop” of the best modern roots music that can be found.Midnite delivered a true “Late Night Ghetto” jam of roots reggae that cannot be recreated, on that snowy Sunday night, and those willing to accept it were blessed.Rankingkirk is a musician and music researcher. Writing and reviewing the music industry since the ’80s, Rankingkirk is a follower of the Midnite Roots message from over 30 live performances.